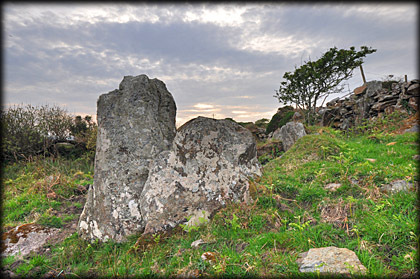 The portal tomb at Leagun is situated beneath a rocky outcrop overlooking Streamstown Bay. 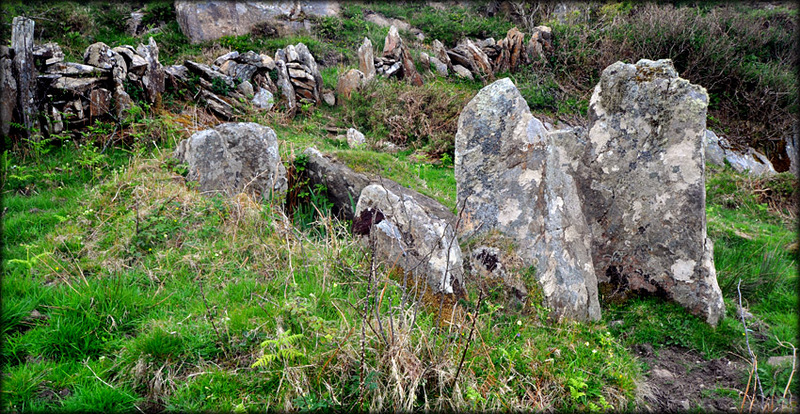 The two portal stones are just visible from the road against the craggy background. 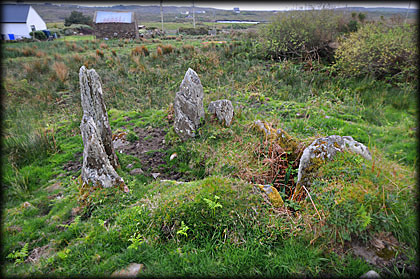 The 3.5 metre long chamber consists of the two portals, a back stone, and two side stones on the east and three on the west. There are slight traces of a cairn on the south and west sides. The tomb is aligned NNW-SSE. 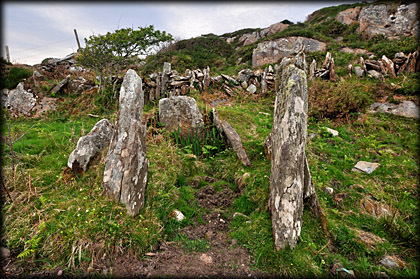 Although roofless, this megalithic monument is well worth a visit. The landowners were very accommodating, but I would strongly recommend wearing boots as the 60 metre walk to the monument is across very uneven boggy ground. Situated: From Clifden head Northwest on the N59. After 3.5 kilometres turn left for Claddaghduff. Then stop at the bungalow on your right, about 6k up this road. The tomb is in the field west of the house. Discovery Map 37: L 5923 5483. Last visit May 2012.